HESE days, when we open the windows, instead of letting ill fresh air we let in air contaminants. People are unaware that microscopic particles in the air like dust, germs, mould spores and pet dander will remain in our homes for a long time due to poor ventilation and become a serious threat to our health especially to young cbildmn. Moisture in humid climates can lead to the development of various dangerous bacteria, viruses and mould spores. Also, smokers puff out 4,000 different toxins into the air with- out realising its side effects. Even household chemical cleaning products can contaminate the air we breathe. These harmful airborne contaminants do not discriminate and can cause - in the short term headaches, irri- tated eyes and sore throats. In the long term, they could aggravate the sinus, cause other health conditions such as asthma, skin aller- gies and lung infections. lndc~or air purifiers can make a dramatic improvement to the quality of air in your home, but not all air purifiers are equal in quality. Honeywell high efficiency particulate air (HEPA) air purifiers are the best choice for reducing these unwanted guests in our homes. In fact, more doctors recommend Honeywell air purifiers to their patients than any other brand. * Honeywell is an established manufacturer of aerospace, military trans- portation and jet engines. Jet engines and air purifiers seem worlds apart, but they both utflise the same superior turbo technology that has become Honeywell International's area of expertise. The same turbo technology that wins wars is also used to battle airborne contaminants; and it gives Honeywell A/ir Purifiers the edge over other air purifiers. That advantage is suction and air flow cleam ing power. Naturally, the mom powerful the airflow, the better the chance of cleaning the air. Honeywell Cyclonic Turbo Air Purifiers use a swirling cyclone-like effect and powerful turbo technology to pull in more dirty air every time. This highly efficient technology draws in air from every corner of the room and even from floor to ceiling. Once the air is pulled in, contaminants are trapped within Honeywefl's 360 heavily pleated round HEPA filter. For extra trapping capabilities, Honeywell designs round HEPA filters with double the materials of a standard HEPA filters. Unlike standard flat panel air filters, air that circu- lates through Honeywell 360 degrees HEPA filters are subjected to multiple capturing opportunities. Want a swimming pool that is leak- age- and hassle-free, lasts for life and does not require structural repair? That you can with the Hydro One Fiberglass Swimming Pool that is prefabricated in a one-piece structure. Fiberglass swimming pools are not new. They have been widely produced since the 1950s and are preferred in Europe and Australia. The concept of fiberglass pools came from the revolution of the fiberglass boat industry. High quality fibreglass pools, boats and yachts share a common manufacturing technique, using the same fibreglass material. Over the past decades, specialised materials have been formulated for permanent under- water use in boats and swimming pools, allowing pool owners to be free from the bur- den of resurfacing or relining pool surfaces. Hydro One Fiberglass Swimming Pools are put through a series of stringent and state-of-the-art fabrication process. Using a one-piece mould, waterproof high grade gel coat (imported from Australia) is used in the production. The pool structure undergoes three layers of polishing and anti-scratch treatments to produce a smooth, glossy and glittering surface. Hydro One Fiberglass Swimming P0ol can be installed on site and be ready to operate within five to seven days. The scope of work includes excavation, soil compacting, delivery, cranage, unloading, positioning and pool deck casting. The Hydro One Fiberglass Swimming Pool is better than conventional pools because there is minimum human error in construction and fast installation lead time. It is a leak- age-free structure which is easy to maintain. Algae tends to grow within the gaps of the tiles in a concrete pool. Scrubbing using an algae brush is required and even acid is used to dean the pool surface. Fibreglass swimming pools are devoid of any such maintenance hassles because of its one-piece surface. In fact, the structure comes with a 10-year-warranty against leakage. Hydro One Fiberglass Swimming Pool is also equipped with an LED Underwater Light and an aluminum-made Pump House that contains Sand Filters, Pool Pump and Control Panel with remote control. Fol' further recreation, the pool also comes with Jacuzzi spa seats (for model Maldives and Caribbean) built-in in the pool. Customers have up to 40 colour schemes to choose from. Space constraint should not be the main concern anymore as some pool models can even be installed in the gardens of semi-detached houses. The company also provides custom-made pool shape designs and sizes. ~ Visit Hydro One Marketing Sdn Bhd at Homedec Part 2, booth no. 5596 ~ 5601 to view a Hydro One Fiberglass Swimming Pool. Call 03-6092 0120 or SMS 012-369 9012 for obligation-free site surveys or consultation. OASE Filter systems will help you build a habitat for fish, amphibians, and other wildlife at home. These features not just beautify your home, it also provides you a great place to unwind. 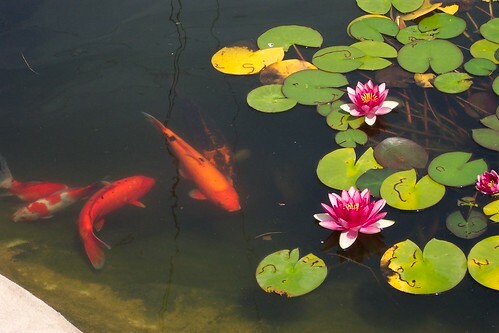 Garden ponds are biologically-active habitats for flora and fauna. They are subject to constant change due to weather changes and environmental conditions. However, garden ponds are limited in theft capability to regulate their biological balance on their own. OASE filter systems play a significant role in this regard. OASE ofters flow-through and pressure filter systems that can be installed quickly and easily. Both work perfectly to mechanically filter suspended substances and decompose biological nutrients. Microorganisms that settle in the filter systems take over these important tasks to ensure good water quality. The benefits of OASE filter systems are evident at first glance - the water is clean and clear. Green algae do not have a chance and flora and fauna thrive splendidly. However there is one important prerequisite - the performance of the fitter system must be matched to pond size and fish stock. Glomedic Industries Sdn Bhd, the exclusive importer of OASE water garden products for Malaysia and Singapore is your pond specialist. With the company's years of experience and in-depth product knowledge~ you will be better served with specific information and can be sure that you're making the right choice for your filter system. OASE Filter pump, UVC clarified and the filter itself comprise a flow-through or pressure filter system as a unit. You will be recommended optimal combinations based on pond size and fish stock, and you also get a clear water guarantee. When selecting your filter system, choose a strong system that is perfectly matched. OASE has first class systems that can ensure clear, healthy water for your fishes every day. In this regard it doesn't matter what size your pond is, or whether you have goldfish or koi - OASE filter systems satisfy all requirements. They even displace heavily polluted pond water easily, transforming it into sustainably clear ponds with perfect water quality. Here the pond water is thoroughly filtered and excess nutrients are broken down biologically. Let your filter system run continuously. Do not switch it off even for short_ periods. Microorganisms that live by removing nutrients from the pond water require a constant flow of water. You should biologically activate your filter system with OASE starter bacteria at initial start-up. Pond enthusiasts who implement a new generation Aquamax pump to feed a filter system can also operate an in-pond skimmer via the second inlet connection to keep the water surface clean. Give your pond an extra fresh experience and install one of OASE's Aqua-Oxy pond aerators, Bubbling oxygen gives the inhabit- ants of the underwater world oxygen. With a 12-volt power supply, it is safe, convenient to handle and provides individual control. 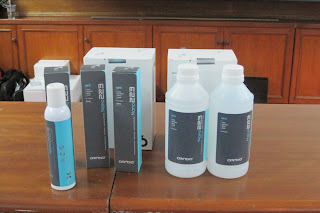 ~ For details, visit Clomedic Industries Sdn Bhd at E-07-06, Plaza Mont' Kiara, KualaLumpur or call 03-6201 2328, e-mail oase@ glomedic,com.my or visit www.oase-livingwater.com Glomedic is open from Mon to Fri, 9am-5.30pm and Sat, 9am-1pm. Check out Glomedie's products at Homedec KL 2011, Part 2, Hall 5, Booths 5565 and 5567. Millions of dust mites, which are invisible to our naked eyes, reside in our homes daily. They can be found on bedding, sofas, curtains and many other places, causing allergic reactions to our skin and affecting our health. Even if cleaning is done daily, these invisible mites can still survive by living on mattresses, fabric materials and us. To get rid of them effectively, you need a more innovative cleaning assistant: Karcher Water-Filter Vacuum Cleaner. Karcher Water-filter Vacuum Cleaner comes with a combination of High Efficiency Particulate Air (HEPA) and water filter technology to trap up to 99.997o of particles (as small as 0.3 microns). This incIudes harmful particles such as dust mites, bacteria and allergens. With this technology, dust and dirt are vacuumed and dissolved in water without the need of a dust bag. You don't have to worry about dust bag replacement and clogging anymore. The water-filter vacuum cleaner provides powerful and consistent suction every time you vacuum your home to eliminate dirt, dust and harmful particles effectively. 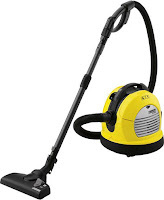 Karcher is the world's leading manufacturer of cleaning equipment. Each Karcher product features precise German engineering and attention to detail, resulting in a quality and reliable machine to meet your cleaning needs. ~ For details, call AOG Marketing for a home demonstration (03-7803 7757 / 016-335 2628 or e-mail aogkarcher@gmail.com). Visit them at the Homedec Exhibition from Oct 27~30 2011 at Booth No.2185 and 2186 Hail 2, Kuala Lumpur Convention Centre for a demonstration. aesthetics and functionality. SmartPools has transformed the concept of pools by maximising the swimming experience and eliminating all the usual hassles associated with building and maintaining traditional concrete pools. Homeowners often toy with the idea of a luxurious pool within the privacy of their own backyard. However, they are apprehensive about the extensive space requirements and civil works involved. SmartPools offers you the solution. People no longer need large spaces to own a pool. The smallest SmartPool, the Arena Debut, takes up very little space and can be installed ii1 a mere 130 sq ft (12sq m) area. That's equivalent to just one car park bay. And, this space can be virtually anywhere, be it at sit-outs, patios, balconies, garden, terrace, living mom or even in your bathroom. The SmartPools range of products require only a onetime Wat & fill thus conserving the environment and reducing the hassle of frequent refills. It makes SmartPool one of the world's first truly "green" swimming solutions: Home-owners often assume that maintaining a pool is difficult and expensive. at your home within a day by the company's team of experts (upon successful site preparation). Above all, the SmartPool is not a conventional static pool. it is powered by a unique, patented technology called LAPS (Laminar Aqua Propulsion System) that generates silent yet smooth currents of river like waves, allowing users to swim at the same spot effortlessly for hours offering them all "Olympic Size" swimming experience in just a few square feet without compromising too much space, money or time. During Homedec 2010 it attracted nearly 35,000 visitors to its booth and won the Good Quality and Good Design awards. SmartPools will be participating again at the upcoming Homedec 2011 Exhibition - Part 2, m be held from Oct 27~30 at the Kuala Lumpur Convention Centre. 5martPools Arena Debut (15'x8'x3.5'), is the smallest pool and a great space saver. SmartPools Arena Plus (20'x9'x4'), also referred to as the "Iron-man dream machine", which has a simple modular installation. SmartPools Arena Espace (40'xl 1'x4') offers the best of both worlds - Smart Maintenance but Lavish size. Custom sizes are a possible option for institutional clients subjected to minimum order volumes. SmartPools also offers solution for existing pool owners who would like to transform their pools into flowing water bodies. The SmartPools PowerLap EZ is a plug and play device which converts any existing pool into a SmartPool and can be easily installed without any hacking or damage to the pool. "Our biggest competition in 2011 remains to be ourselves - SmartPools had an overwhelmingly successful Homedec 2010, and we are looking forward to breaking that record in 2011," says SmartPools International assistant general manager AJ Meenai. Check them out at Booth No.5568, 5570 and 5572, Hall 5.
the first 10 confirmed orders. ~ For details on the promotion, call toll-free number 1300 887 474, e-mail info@smartpools.com.my or visit www.smartpools.com.my. Follow them on Facebook (Smartpoolslnternational). Exaltech's appointment this year as the sole agent to distribute Omniyo's products (World's Most Advanced Nano Technology) is proof of its excellent management and marketing capabilities in taking on an international brand. Good health is commonly associated with sleeping well, eating a well-balanced diet, exercising regularly and being in a state of mental and emotional well-being. But our health also depends on whether we are exposed to virus, bacteria, mould and other elements. Environmental Protection Agency (Usepa) has found high concentrations of VOC indoor air which is 2-5 times higher compared with outdoor air. Now, with the Omniyo Nano 223, one can breathe in cleaner air. Omniyo's breakthrough nano coating technology comprises pure, Ultra small, nann particles of Titanium dioxide that are colourless and transparent. It is specially designed as a spray-on coating to transform a normal surface into a self-sanitising surface. The ultra-safe coating requires only visible light as its source of energy to continuously keep coated surfaces clean and safe by destroying viruses, bacteria, mould and VOC that come into contact with it an electrochemical process. Omniyo's advanced nano technology ensures that the coating bonds virtually permanently to surfaces regardless of whether soft or hard, smooth or rough surfaces. The Omniyo Nano 223 is lab-tested by renowned Japanese universities, international test labs and field-tested in many hospitals and commercial buildings with excellent results. Most importantly, the Nano 223 is safe and made with food-grade ingredients of pure TiO2 without the use of any binders and polymers. TiO2 is approved by the Food and Drug Administration. It has been widely used for more than 30 years and is exempted from certification. The Nano 223 is best applied on new products and surfaces to prevent Biofilm* buildups that may harbour disease-causing bacteria. For used or in-used products, thorough cleaning and repeat application of the Nano 223 is recommended to ensure direct bonding to substrate to avoid any superficial bonding to dirt or dust. Visit Exaltech's booth at Homedec and be amazed at how easy it is to transform every product/surface into one that helps fight virus, bacteria, mould and VOC gases with a simple coating of the Nano 223. Bring along small items such as a handbag, school bag, toy or baby stroller and Exaltech will do'a free live demonstration of coating for you, The Nan~ 223 is priced at RM159 for a 170g spray can. It is also bottled for commercial coating~se with a specially developed Electro-Sprayer. There will be a soft launch of the product at Homedec and there will be a promorional/special offer for the product. ~ Exaltech will be at booth 1151 and 1152, Hall I in Homedec. For details or dealer enquiries call 016-550 3881 or call Omniyo at 03-7957 5000. *A biofilm is a thin layer of food and bacteria that have built up on surfaces. Biofilm is an accumulation of inorganic and organic materials that can attach to most surfaces.